Square Off, by Gnomic Studios, previously released on Windows Phone, Xbox 360 and recently on OUYA, is NOW available on the Apple App Store and Google Play Store. 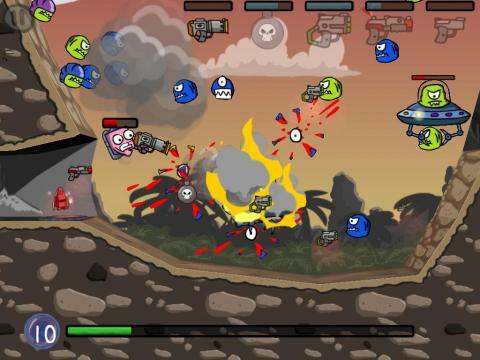 Blast, dodge and disintegrate your alien enemies in a desperate bid to save humanity. Wield shotguns, bombs and missiles in an insane survival frenzy. Features beautiful sound and 2.5D graphics, hordes of vicious aliens and absolutely loads of addictive fun.